The film is based on the idea of a guided tour through TirolCITY. It complements the publication (a non-animated media), which concentrates on data, atlas and collages. All scenes were shot in the Tyrol in February and July 2005. 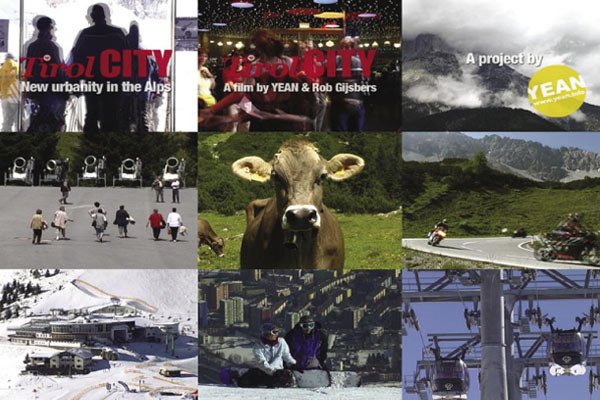 The 20-minute long film, an entertaining documentary, is in its both realistic and artistic way a typical work of Rob Gijsbers, who has already realised several films in collaboration with architects and planners. The carefully chosen settings show different features of TirolCITY. The film is structured by the dynamics of repetition and strong contrast: between density and emptiness, growing and shrinking, fast and slow. 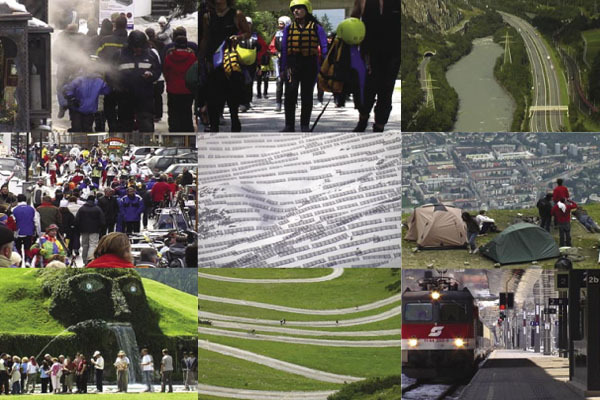 The film was exhibited at the LA05 - Tiroler Landesaustellung 2005 - in Hall, Austria and at the eme3 - the 3rd Architectural Market - in Barcelona, Spain. If you do not have the quicktime7.1 plug-in, download it here.